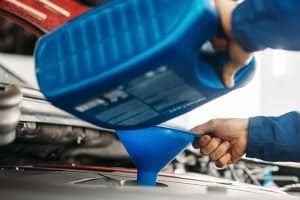 Confused about which is the best liquid coolant for your car? Here’s how to pick the right one, along with a list of excellent options. Even the most uninformed of car owners know that car engines can get hot, and when they get too hot they just won’t run anymore. That’s why you have a radiator. To avoid all those nasty repair bills, you can’t use just water for your car radiator because it’s inadequate. But with the best liquid coolant, you can make sure your car doesn’t overheat. It also keeps the car engine from freezing in the winter. So now that you at least know that you need a liquid coolant, how do you know which one is the best? Luckily for you, there are several simple ways find this out. 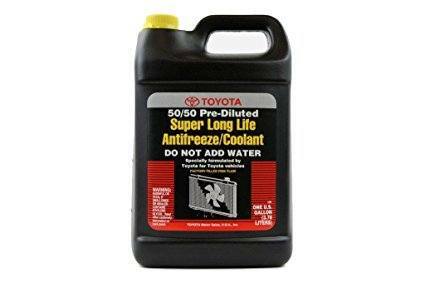 Use the same liquid coolant that came with the car when it was brand new. You can find this out by consulting your owner’s manual or by contacting your local dealer. You can also do some research online. 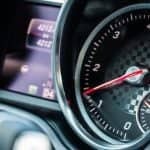 The main advantage here is that there aren’t any nasty surprises—you know the liquid coolant will work with your engine. Some car manufacturers even come with their own brand of coolant, so you can easily determine which coolant is right for your car. Often, it is this particular factor that’s the most important consideration for your choice of coolant. IAT or inorganic acid technology contains antifreeze along with silicates and phosphate that inhibit corrosion. This was designed for US-made cars until the 1990s and it is green in color. 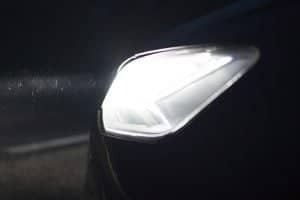 The main problem here is that the inorganic acids are used up very quickly, so you have to flush it out and replace it every 2 years or 30,000 miles. OAT or organic acid technology has organic acids instead of silicates and phosphates. It can last up to 5 years or 150,000 miles. This comes in different colors that indicate which car it’s meant for. HOAT or hybrid organic acid technology contains both organic acids as well as silicates to really provide corrosion protection for your car, while the coolant can last 5 years or 150,000 miles. If possible, don’t mix coolants. You shouldn’t mix an OAT or an HOAT to an IAT coolant since that will just shorten the OAT to a service life of 2 years. You may find “universal” antifreeze additives, but often they’re just meant for OAT coolants. Usually, you need to flush your coolant system thoroughly before you put in the new coolant. On the other hand, some coolant makers develop new versions of their coolants that are reverse compatible. In other words, if you have version 1 in your coolant system, you can just add version 2 if you want. 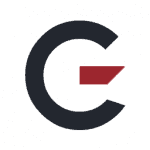 Usually, this is indicated by both versions having the same color. If the new version is a different color, you’ll first need to drain all of the old coolant. Check to see if it’s premixed or not. Some coolants have already been mixed so you can just pour it in. Others are concentrates that you need to mix in equal parts with distilled water. Some are more expensive than others. 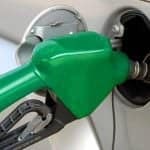 Usually, a liquid coolant hovers around the $22 to $25 price level, but then others are more expensive, while others are very affordable options. Usually, those made for luxury cars can go for $30, but some variants may actually cost just $13 or so. Make sure you correctly add the coolant. Again, consult your manual. This will give you detailed instructions what you ought to do. If you’re still unsure, then it’s better to be safe by getting a mechanic to flush the coolant system for you. However, you’re not required to get the coolant from the mechanic or the dealer, especially if you can buy the right coolant at lower prices online. As this is only a single gallon, you’ll need to buy two if you’re going to use this. Aside from that minor point, everything’s a go with this choice if you have a Honda vehicle. Genuine Honda Parts OL999-9011 Blue Type 2 Coolant is meant to suit all Honda vehicles, and it’s the genuine OEM Honda fluid you need. As long as your car is a Honda, this will do nicely. In fact, this will likely work better than any other aftermarket coolant you get for your Honda. It’s meant for aluminum components, so if you have a radiator made of aluminum, then this should work well. It already has all the corrosion protection you need for your coolant system, and you don’t need to add any additional corrosion inhibitors. It already works as an antifreeze, so your engine won’t freeze in the winter. It’s already been premixed, so there’s no need to mix it properly with distilled water. This is not the recommended Honda coolant for some Honda motorcycles. The manual for the Honda CBR 600RR, for example, recommends the Pro Honda HP Coolant. It gives protection for 5 years or 60,000 miles and not 150,000 miles. 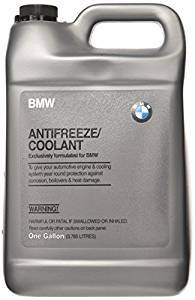 Yes, BMW 82141467704 Grey Antifreeze Coolant is pricey, as a gallon goes for more than $30 and you need 2 gallons, especially for larger engines. It’s also not a premix, so you need to mix it 50/50 with distilled water. But so what? The money and the effort combined are a small price to pay if you want to make absolutely sure that your BMW is properly maintained. After all, BMWs are expensive, and any mistake in your choice of coolant can lead to horrendous repair bills. With this, you get the genuine OEM article, so you can expect no hassles about anything. The price online with the right sellers isn’t really bad, especially when you compare how much you’ll be charged for these from a BMW dealership. Having a concentrate isn’t really a bad thing because you can set the mixture according to your circumstances. For normal use, you can mix 50/50, which provides freezing and corrosion protection down to -34° F (-37° C). But if you’re in Alaska or somewhere similarly cold and it’s the dead of winter, you can mix 60% of this with 40% of distilled water for protection down to -62° F (-52° C). 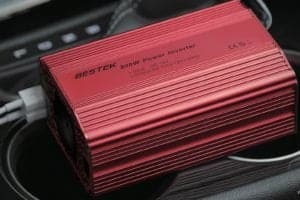 It’s so good that many BMW owners use this for their other cars. It just leaves your coolant system spotless without any hint of corrosion. Other alternatives require more frequent flushing and it can get nasty in there. 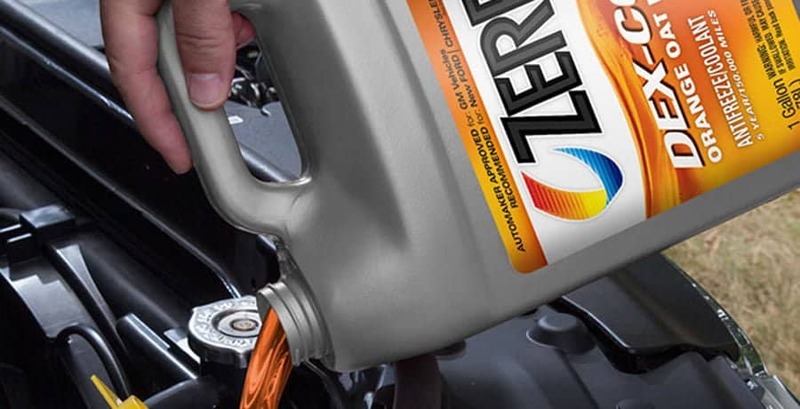 You never have to ponder what coolant to get for your BMW. This is the OEM coolant. Though some people have mistakenly used it as is (without mixing with water), it doesn’t seem to harm the coolant system. Still, it’s a great idea not to make this mistake. It’s not a premix, yet it doesn’t warn people about that on the front label. This should have been emphasized. Instead, you have to read the fine print in the instructions on the back to learn that you have to mix it first. Yes, compared to other coolants, it’s very expensive. This may not be a big deal for rich BMW owners, but for more budget-minded people, it’s a problem. So, it also may not be the most cost-effective option for non-BMW cars. What if you have a Toyota? They are one of the largest car makers in the world, so it makes sense that they also offer a Toyota coolant for their customers. 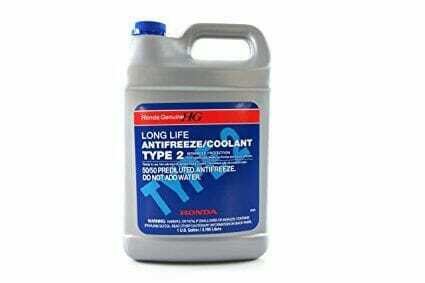 Toyota Genuine Fluid 00272-SLLC2 Long Life Coolant is their genuine OEM coolant for gasoline engines, and it’s specifically made for Toyota vehicles. This is made for long life and high performance, and it’s pink. This color denotes that it’s already been premixed, as the red is the undiluted version. Toyota R&D designed, tested, and approved of this for their vehicles. Toyota actually mixed this with special deionized water. 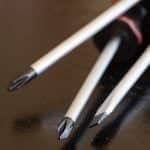 It doesn’t contain silicates and borates, and it offers corrosion protection to metal parts without damaging the rubber components. This runs cooler than your conventional antifreeze liquids. It’s the genuine article, and it can last 150,000 miles for a Toyota Tundra and still leave a cooling system looking absolutely pristine. It’s already a premix, so it’s much easier to use. A bonus feature is that if you develop a leak in the cooling system, this coolant will form into a pink crust at the leaking point. 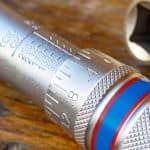 Not only does it tell you where the leak is, but in many cases, the crusty stuff will stop or slow the leak so you can still take it to a mechanic. This is the latest coolant from Toyota, and it’s pricey. This can be annoying if all you can afford is an economy Toyota. Audi is another premium car brand, so of course, they’ll have their own coolant antifreeze that they know will work for their cars. It’s actually a relief to find this since aftermarket options are much more expensive. 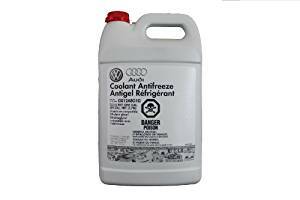 Audi Coolant Antifreeze Antigel Refrigerant is the G13 version, but you can mix it with the G12 varieties and even with the G11. This is lilac (pale violet) in color, and it doesn’t mix with the blue Audi coolant. This helps you decide what coolant to get for your Audi, or even for your Volkswagen. This is the real OEM product you can use for your coolant system. This offers excellent all-year protection. It protects against corrosion, it helps cool your engine in the summer, and it keeps your car from freezing in the winter. It also prevents calcium deposits. This is a concentrate, and you can adjust the mix ratio to boost the antifreeze properties. With 50%, this protects down to -35° F and prevents boil-over up to 264° F. But you can go up to 70% and the temperature range goes from -83° F to 277° F.
Audi designed this coolant to work with all cars out there, including cars and light trucks with gasoline, diesel, and even propane engines. It’s not really expensive when you get it online; you avoid dealer markups, and since it’s a concentrate, you can just buy 1 and you end up with 2 gallons of coolant. It’s still considered overpriced by some consumers. No, there’s no Zerex car model. 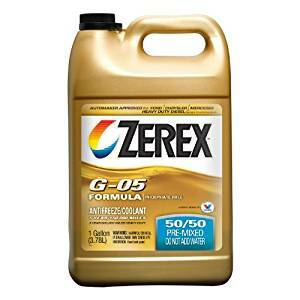 But, Zerex G-05 Antifreeze/Coolant is often the coolant that mechanics use for just about every car there is out there. It’s very inexpensive and it simply works with any model. 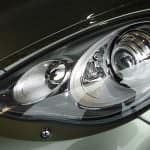 It’s not a cheapo low-quality model either, since Mercedes-Benz, Ford, and Chrysler recommend its use. It’s very affordable, and it’s certainly a more economical alternative to more expensive OEMs. This is already premixed, and that fact is prominently displayed on the packaging. It works for gasoline and diesel engines. You can use it for passenger cars, light trucks, or even heavy-duty vehicles. It’s not dyed. So a technician who works on your car may not know if it’s coolant or water. Obviously, if you want to play it safe. You can just get the coolant brand that matches your car brand. But, what if you’re a mechanic who deals with numerous car brands? What if you own several cars? In that case, GarageChief recommends you to choose the Zerex G-05 Antifreeze/Coolant to save yourself the trouble of buying different brands. Many consider it the best liquid coolant for any random car, and it’s also very inexpensive.